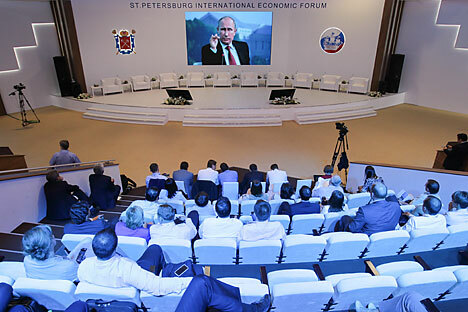 Russia is far more integrated into the world economy today than its Soviet predecessor was, making sanctions a more challenging proposition than when the Soviet Union faced them in the 1980s. Russia, the EU’s third-largest trade partner, provides some 30% of the bloc’s natural gas. Russian companies have billions of dollars’ worth of shares trading on exchanges in London and New York, with large minority investors from the U.S. and Europe. American oil giant ExxonMobil has bet big on Russia, swapping assets and forming a strategic partnership with Russian oil champion Rosneft. Indeed, some Western policymakers have said that any moves against Russia must be carefully tailored. Assistant U.S. Secretary of State Victoria Nuland told the Foreign Affairs Committee of the U.S. House of Representatives that further sanctions would be targeted to limit damage to Western interests. “The idea here is to use a scalpel rather than a hammer,” Ms. Nuland said. Exxon’s partnership with Rosneft includes 30% ownership of the Far Eastern Sakhalin-1 oil and gas development, as well as plans to jointly explore and develop Arctic oil fields. Royal Dutch Shell owns a 27.5% stake in the Sakhalin-2 oil and gas field, where it has partnered up with Russian natural-gas exporter Gazprom. U.K. energy firm BP owns an almost 20% stake in Rosneft, and signed an agreement with the Russian firm as recently as May 24 to explore for shale oil in Russia. Ex-finance minister Kudrin estimated that sanctions might reduce Russian GDP growth 1% to 1.5% this year. “That’s not a catastrophic loss, because Russia has been through even more difficult moments in the recent past,” Mr. Kudrin says. Still, Russia has little interest in further isolation, Mr. Kudrin adds. “We as a country – and our leadership, I hope – feel where the line is, where there will be significant damage to the economy,” Mr. Kudrin says, adding that he hoped the line would not be crossed. In 1985, only 4% of the Soviet gross national product came from imports and exports. Much of the Soviet Union’s foreign trade was done with countries that were already part of the socialist sphere.